Solar for the Shade. Brilliant free-light! Super flexible, our Remote Solar Panel Landscape Lighting System comes with three light fixtures, each able to light up to 80' away. You can locate the solar light system panel where you get sun, up to 50' away from the first solar light. We have solved the problem of having trees or other shade producing elements near your home - when using solar just wasn't possible. This is a great system for wall washing, tree up-lighting, back-lighting, pathway lighting, highlighting of every kind at home, the cottage, or office. 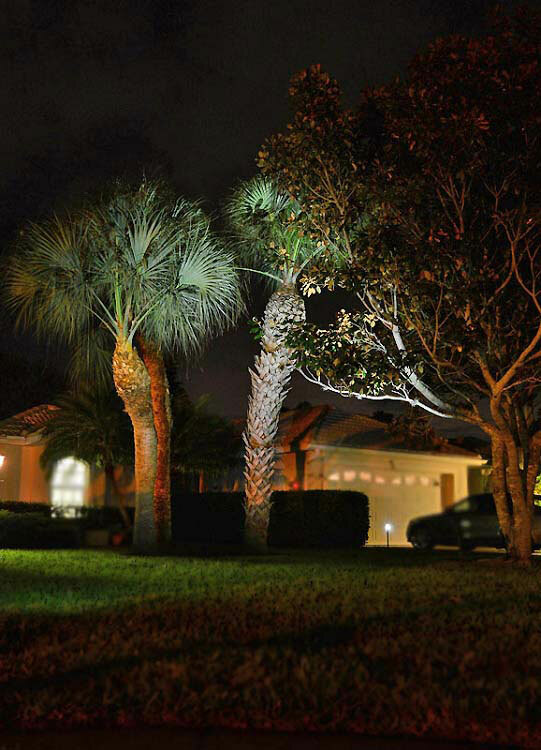 Learn more about REMOTE Solar Panel (RSP) Landscape Lighting System now. Comes in a smaller RSP Wall Mount light fixture too.